The Ruya Foundation has partnered with the 5th International Çanakkale Biennial, in Turkey, to show new work by artists Akam Shex Hadi and Salam Atta Sabri. Opening on 24 September 2016, this six-week exhibition will explore the theme of Homeland. Both artists have been commissioned by the Ruya Foundation to produce new work around this theme, and were invited to participate by biennial curators, Beral Madra, Deniz Erbaş and Seyhan Boztepe. The concept of homeland forms an important part of the practice of both artists. In his new project for the biennial, ‘Homeland, Exile’ (2016), Shex Hadi explores the physically confining role of national borders, and the changing perpectives on exile and migration. 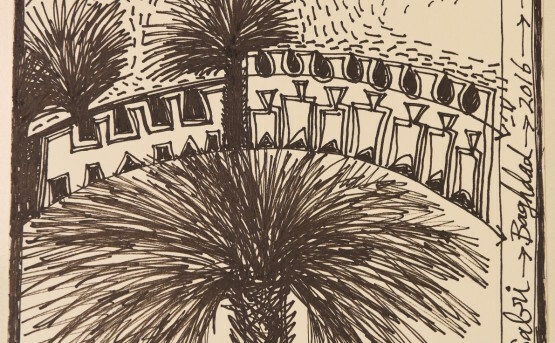 Atta Sabri will be exhibiting a new series of drawings, ‘Date Palm Killing Fields'(2016), which takes the date palm trees as a symbol of the Iraqi nation, and draws on their large-scale uprooting and destruction since the Iran-Iraq war. Artists inside Iraq live in isolation from the global art community, and Ruya’s mission is to facilitate the contribution of Iraqi voices in important cultural conversations, taking place on platforms such as the Çanakkale Biennial. 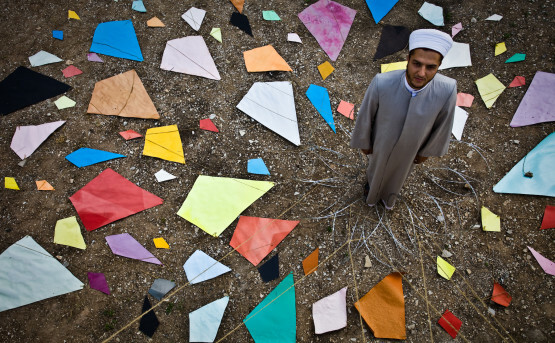 At the Biennial, Shex Hadi and Atta Sabri will exhibit alongside 40 internationally celebrated artists, including Bouchra Khalili and the French street artist JR. The Çanakkale Biennial opens on 24 September and runs until 6 November 2016.